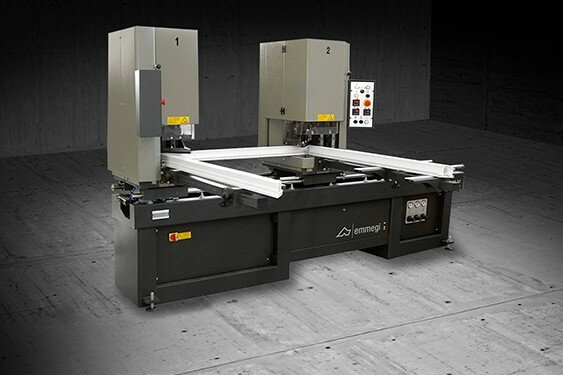 FUSION 4H is a fully digital horizontal CNC welding machining machine for welding PVC profiles. 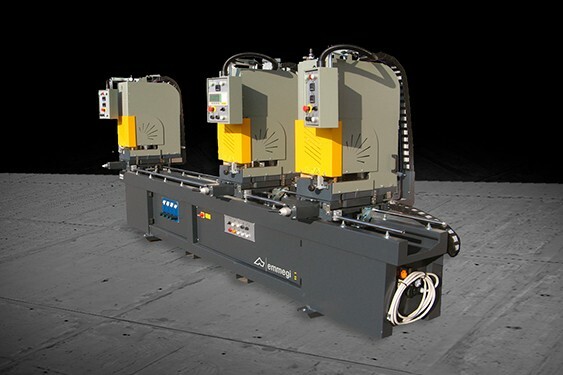 Coming in 2 sizes, the 4-head model allows fabricating frames through simultaneous welding of the 90° corners or welding of the selected items. 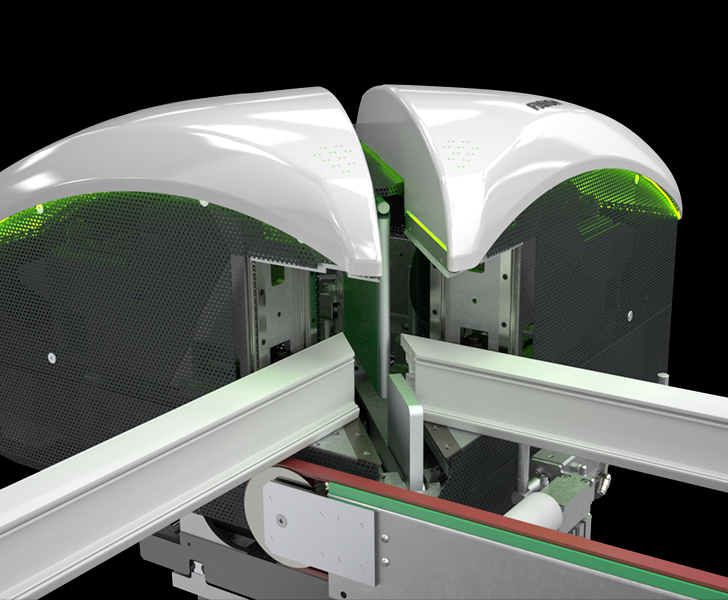 FUSION 4H, which has manual loading and unloading, also has predisposition for automatic unloading of the finished product. 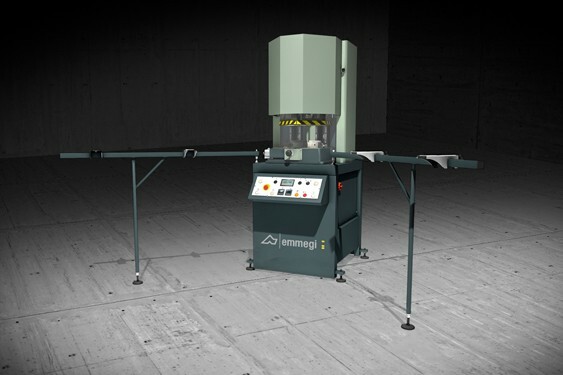 The machine is designed to satisfy ergonomic and safety principles: the indicator lamps and welding head movements make for user-friendly dialog between operator and machine, whether in the profile loading phase or during the subsequent heating and welding phases. Such indicator lamps on the welding heads clearly show the profile to the positioned, with approach (when required) of the pair of welding heads to the operator, thereby allowing correct and easy workpiece positioning. All cycle variables (times, speed, etc.) are programmable and can be preset in the machine automatically. 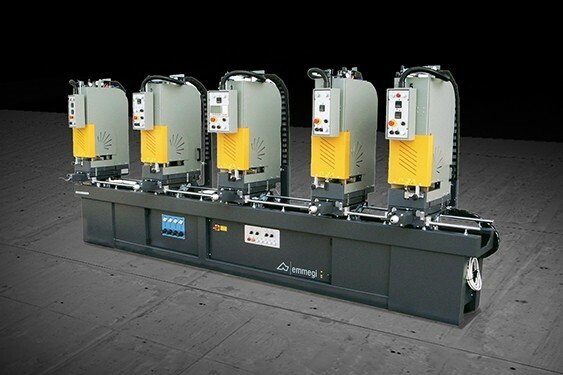 Of the special (patented) features of the FUSION 4H machines, outstanding is the provision for controlling the welding bead size, which can be set by program within a range from a minimum of 0.2 mm up to a maximum of 2 mm. 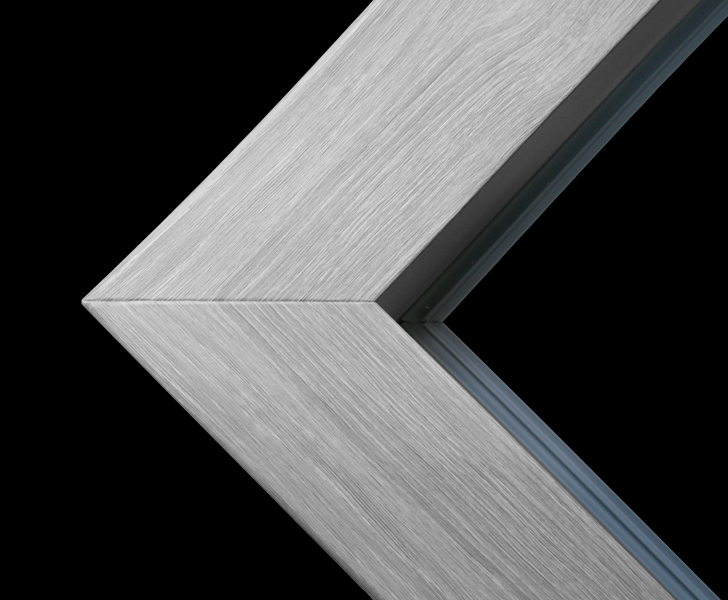 The joint of the PVC frame is made by means of controlled axes that regulate the synchronous handling of the individual profiles. In the standard configuration, this solution guarantees precision, quality and repeatability of the welds, ensuring perfect execution of the bead size set (0.2 / 2.0 mm). With dedicated optional, it is possible to set the bead size within a range of 0.2 to 2.0 mm. This allows a clear improvement in performance, particularly compared with traditional solutions, where handling of segments in PVC is carried out by pneumatic cylinders that do not allow incremental adjustments. Special care has been given to the ergonomic aspects of the machine: the innovative look stems from integrating protection and accessibility purposes with an optimised man-machine interface. 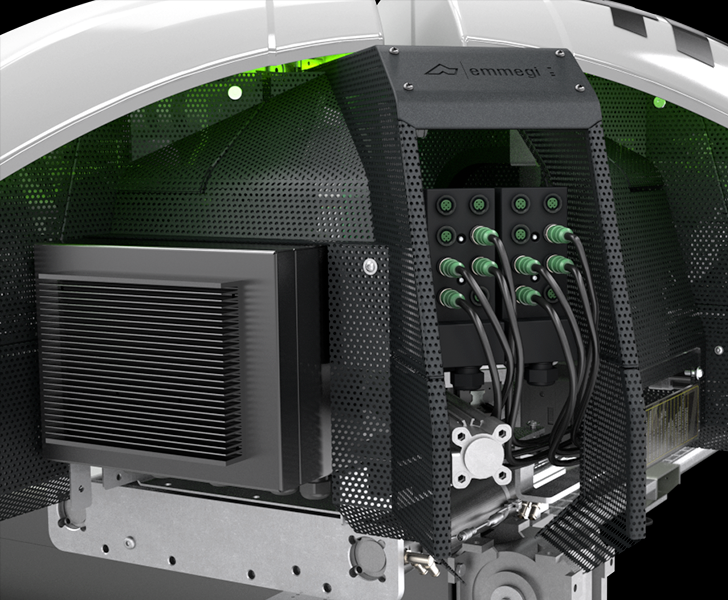 The light signals given by built-in LEDs in the guards of the welding units indicate at all times the status of the machine and any situations that require special attention by the operator, such as high temperature stages or movements in the movable units. The various colours indicate to the operator the progression of the various stages, thus fostering not just peace of mind, but also a sense of practicality and efficiency in terms of safety. FUSION 4H, together with the Seamless technology counterblocks, enables making the perfect weld with seamless finish. Precision is assured as PVC segments are handled by controlled axes. 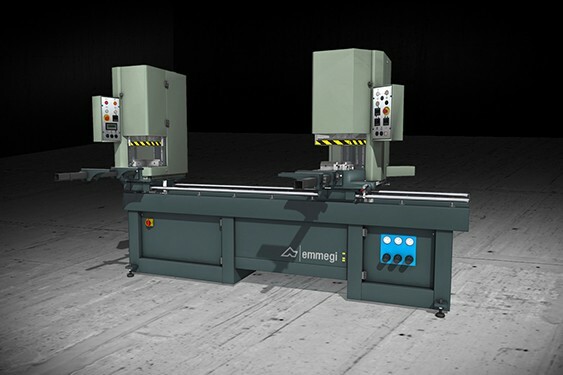 This system enables significantly simplifying and reducing the subsequent machining cycle with major benefits on productivity and result quality. 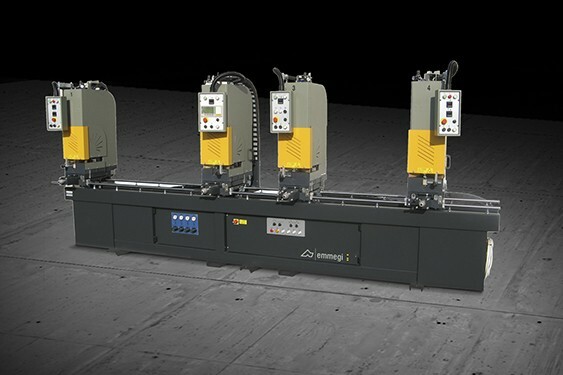 Selecting the interconnection between the central unit and the welding heads is based on the use of a field BUS. Such solution allows remote control and monitoring directly on the operating units. Thus it is possible to implement wiring which is structured, simple and readily accessible. The efficient communication network ensures the complete integration between the various mechanical, pneumatic and electronic components of the machine.